The clouds are Low and it looks like rain. But that's not going to stop you from enjoying your walk. Because with the Womens Seven Lakes Jacket jacket, you know you'll stay dry. 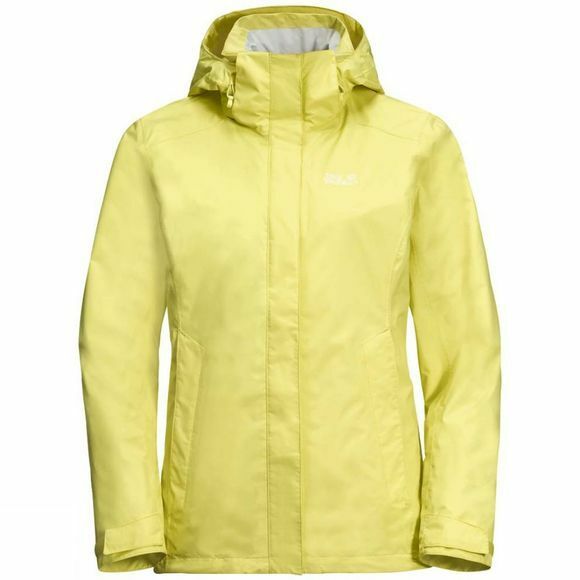 This is one of the lightest waterproof and breathable hiking jackets in our collection. And it comes with lots of practical features. Like the system zip, for example, which allows you to convert it into a winter jacket and the adjustable hood which can be detached if necessary. And when the sun comes out again and the jacket is no longer needed, it packs down small. It weighs just a few hundred grams, so you'll hardly notice it in your backpack. And when winter comes, simply zip in a warm Inner jacket–easy to do with the system zip.